On October 19th, President Obama opened the White House lawn to host an event for thousands of stars. These stars were not celebrities, however, but those actual giant balls of gas and dust found throughout our Milky Way galaxy. 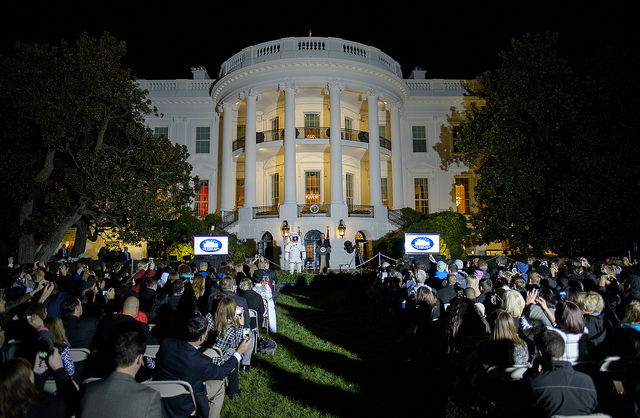 The event, dubbed the White House Astronomy Night, was intended to help promote the president's commitment to advancing the United States' position in the fields of science, technology, engineering, and mathematics (commonly referred to as STEM). Dozens of satellite events were held around the country, each allowing members of the public to connect, for free, with the stars above and the universe beyond. Astronomy is arguably the most enticing portal to the greater constellation of STEM, particularly for the young and the curious. The notion of black holes and dark matter, and the discovery of new planets or the potential for life on Mars, not only quicken the pulse and fuel the imagination, but also incorporate a variety of related disciplines including math, physics, chemistry, geology, and more. There is, however, an even more powerful scientific concept that not only informs every area of STEM, including astronomy, but allows us to see well beyond those twinkling balls of gas in the night sky. That concept is light. Light is the language through which the universe speaks to us. 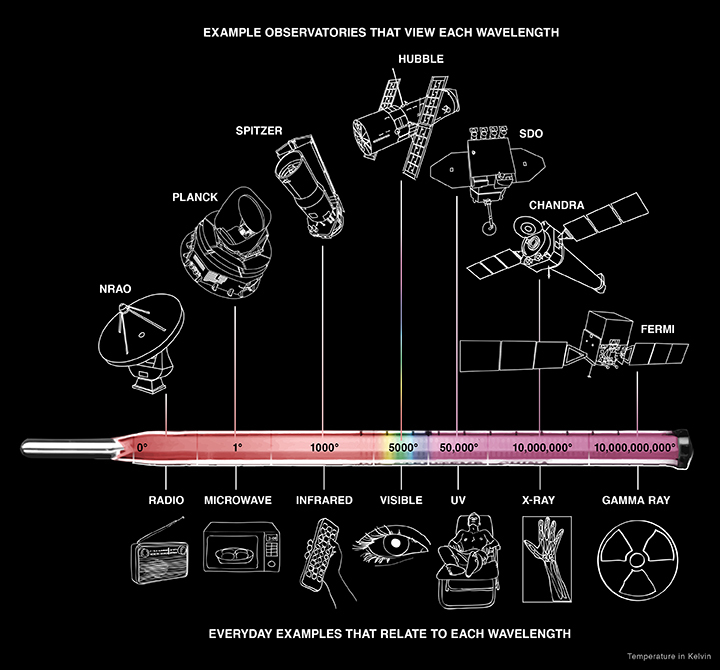 With the rare exceptions of sending rovers to Mars or a probe to collect dust around a passing comet, our exploration of the universe is made possible through the collection of light by an armada of telescopes stationed in space and on the ground. The popular Hubble Space Telescope is only the beginning. Hubble takes spectacular images of the cosmos and is one of the shining beacons of modern astronomy. 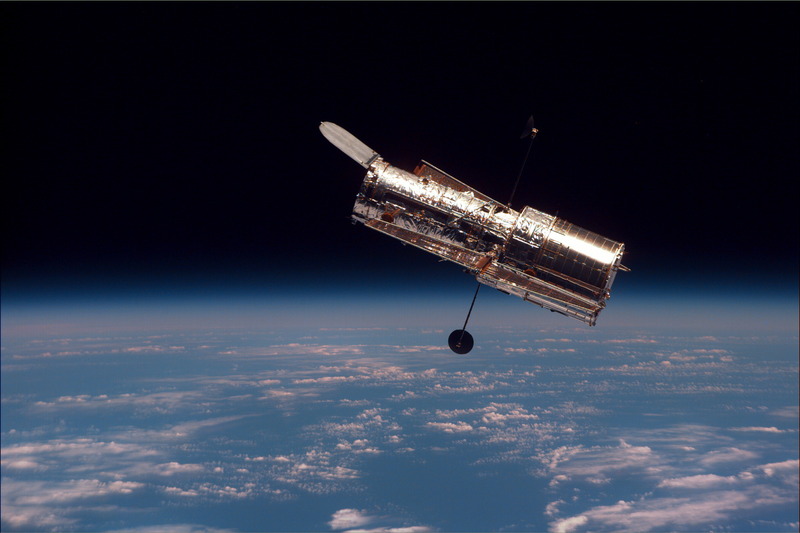 However, Hubble, with all of its amazing capabilities, detects only a small fraction of the light that exists in the universe. It mainly sees the kind of light we as humans can detect with our eyes. This is known as visible light. But there is so much more to light than meets the eye! If the full spectrum of all light were a piano keyboard, visible light would represent just a handful of keys in the middle. Our species was literally blind to this fact until the start of the 19th century. It's only recently that humanity has learned how to detect and harness the vast spectrum of non-visible light that makes up the rest of the keyboard -- what we now know as the electromagnetic spectrum -- which includes radio waves, microwaves, ultraviolet, X-rays, and gamma rays. Astronomers build telescopes to detect every type of light in order to get a truer picture of our Universe and our place within it. 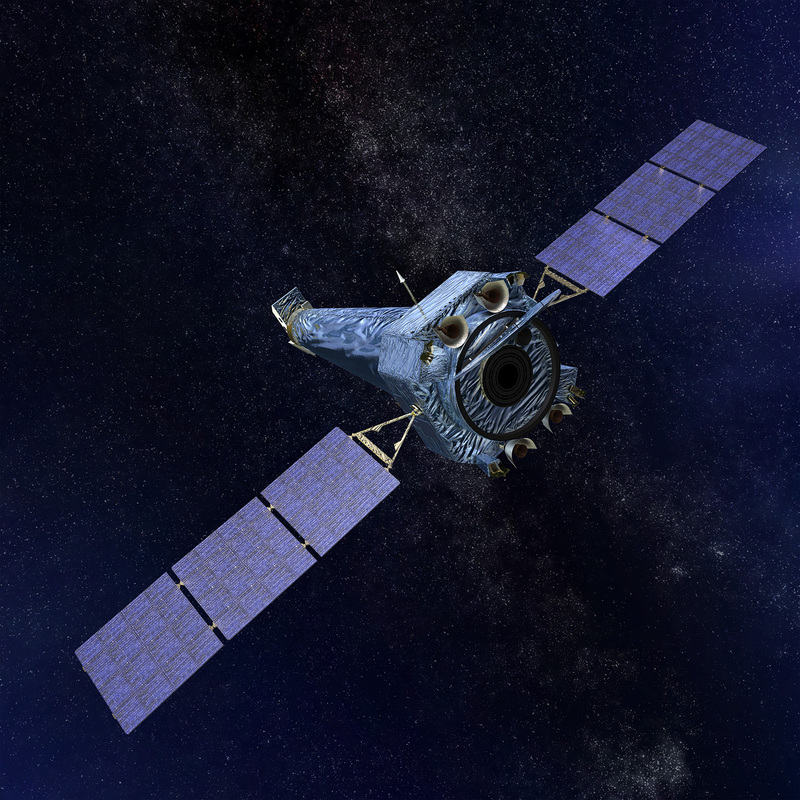 The Chandra X-ray Observatory, for example, uses its X-ray vision from space to visualize matter swirling around black holes. We can observe new stars being born by employing the infrared light technology of the orbiting Spitzer Space Telescope. Much closer to our cosmic home, light is responsible for the recent announcement by NASA of the presence of liquid water on Mars. This incredible finding -- which may be used to keep future astronauts alive and certainly would have saved Mark Watney of The Martian a whole lot of work -- didn't result from a rover on the Red Planet digging into the martian surface (though the rovers have done amazing science in this arena). 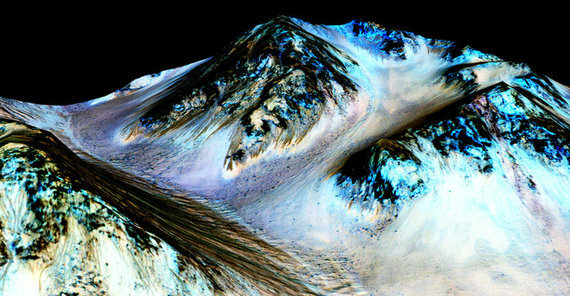 Rather, scientists discovered the presence of water by analyzing light collected by a special instrument, called an imaging spectrometer, on board the Mars Reconnaissance Orbiter that orbits 15,000 miles above the planet's surface. Since every element and molecule possesses a unique signature in light, scientists used the data from the imaging spectrometer to detect water's "fingerprint" far below on the hills and valleys of Mars. Without the ability to visualize and analyze light we would never be able fully explore our neighboring planets, let alone the universe. Light in all of its forms is not just useful to study space, however. The full gamut of light affects our lives in a myriad of ways. We use radio waves and microwaves to communicate with our cell phones. Infrared light is responsible for heating our planet. Ultraviolet light is part of our security of currency and credit cards. X-rays and gamma rays are tools in fighting cancer. Light is such an integral part of our lives that the United Nations declared 2015 to be the International Year of Light and Light-based Technologies, in order to help spread the word about the importance of light in our everyday lives, from medicine to manufacturing, from communications to climatology, and from agriculture to astronomy. 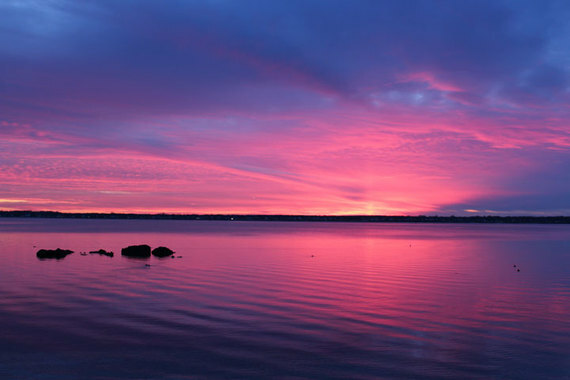 We are surrounded by light, even if it is the darkest hour of the night. We might not all be celebrities, but we are, in no uncertain terms, all creatures of light. 2015 was declared the International Year of Light by the United Nations. There have been thousands of events across the world this year in celebration. Photo: Richard F Staples, Jr.
Kimberly Arcand and Megan Watzke are co-authors of the recently published "Light: The Visible Spectrum and Beyond" by Black Dog & Leventhal, as well as "Your Ticket to the Universe: A Guide to Exploring the Cosmos" by Smithsonian Books.